The name of Maurice Fitzgerald is only invoked in reverential terms in Kerry with his legendary sideline point to break Dublin hearts in the 2001 All-Ireland quarter-final often held up as proof of his other-worldliness. 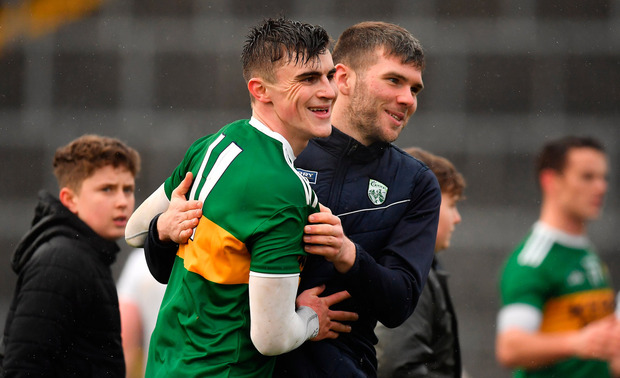 The comparisons that young Sean O’Shea has been receiving with the two time All-Ireland winner we ramped up another notch today as the Kenmare player sealed Kerry’s victory over Monaghan with an audacious stoppage time effort from a nearly identical position. While the conditions at a snow swept Fitzgerald Stadium couldn’t have been more of a contrast with the summer sun in that famous Semple clash, Kingdom supporters will be hoping that their league form which has now stretched to 5 wins on the spin is a good barometer of where their Championship form will be come summetime.